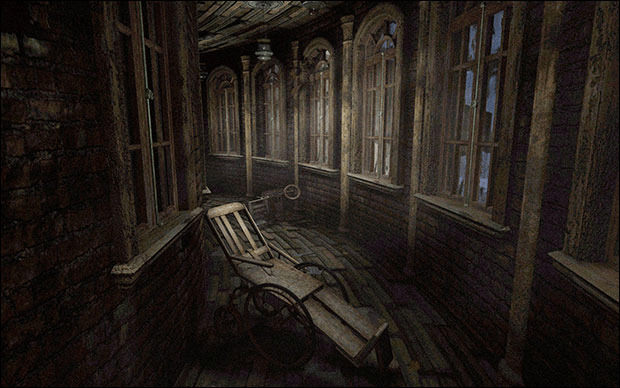 When indefinitely imprisoned high atop a towering castle complex, escape is the only option for survival and redemption. But few scoundrels will survive the Drop and live to tell the tale. The dungeons are rife with traps, monsters, and sinister secrets, awaiting the next unlucky Delver. And from there, you begin your journey to escape the tower. 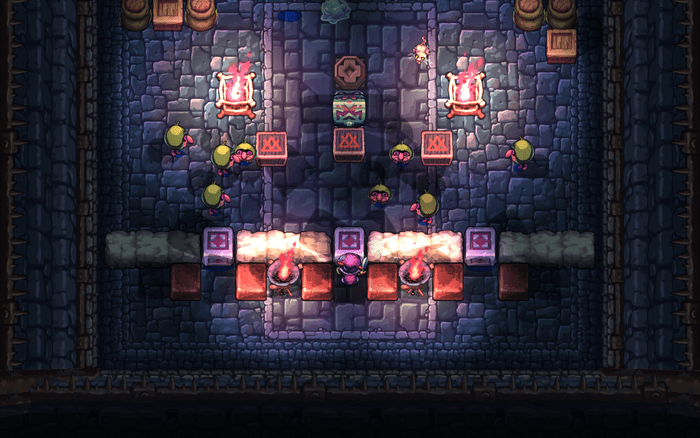 Crawl through the dungeons inspired by 8- and 16-bit games with what appears to be a focus on Zelda dungeons of old. And the developer promises dungeon randomization, allowing for near-infinite replayability of this action RPG. The campaign has surpassed its initial goal and raised $107,000 USD. They have also passed their first few stretch goals of Linux support and expansion of the game. They still have a number of stretch goals they want to achieve, such as four-player Deathmatch and Horde Modes ($115,000), 2-player co-op ($130,000), a 100-room Puzzle Mode ($150,000), more expansions ($175,000 and $200,000), and ports to consoles ($240,000). You can donate to the project until March 13th at 12:59 AM EST. Rewards range from backer credits ($5) and preorder of the game ($15) to getting a signed poster and naming an item/power up ($160), as well as signed artwork done in ink and watercolor, a special PAX visit package, and an exclusive in-game item ($5,000), just to name a few. Delver’s Drop is being developed for Windows, Mac OS, Linux, iOS, Android, and the OUYA. Check out the Kickstarter page by clicking here. You can also vote for it on Steam Greenlight by clicking here. A sequel to the critically acclaimed The Longest Journey and the critically divided Dreamfall: The Longest Journey (why do I get the feeling that for a fourth game, they’d just add the word “The” at the beginning? ), Dreamfall Chapters: The Longest Journey is an adventure game set in two parallel worlds: a dystopian future Earth called Stark and the fantastical world known as Arcadia. 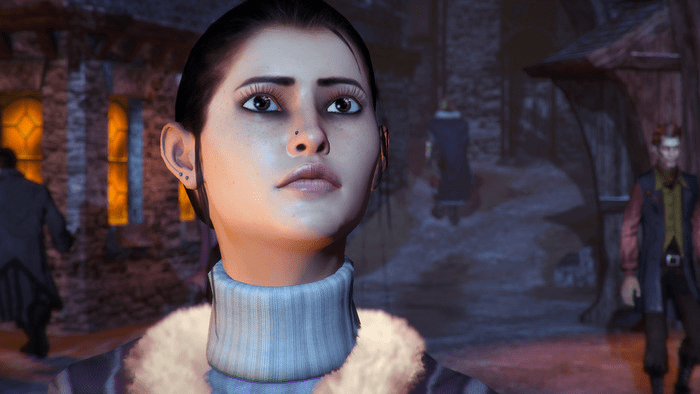 Zoë Castillo, the protagonist from Dreamfall, is back for more as she attempts to save both Stark and Arcadia from evil forces. The project has already raised over $1.3 million, with over a day left before the campaign shuts down. So far, for stretch goals, Red Thread Games will be bringing the game to Mac OS and Linux, expanding the game with new locations and in-game lore (“rebuild the Great Library of Marcuria!”), making an interactive graphic novel of The Longest Journey and Dreamfall, producing an improved soundtrack, and translating the game to French and German, complete with voice-overs. If they can reach $1.5 million—which is possible—they will also restore cut content and create a commentary track. And if they can reach $1.75 million, they will port the game to iOS and Android devices. At $2 million, Red Thread will make their next project The Longest Journey Home, which will continue Longest Journey protagonist April Ryan’s story. But even if Red Thread can’t secure that much funding, they assure fans they’ll look for other ways to make it. Rewards start at $5, with copies of the game starting at $20. 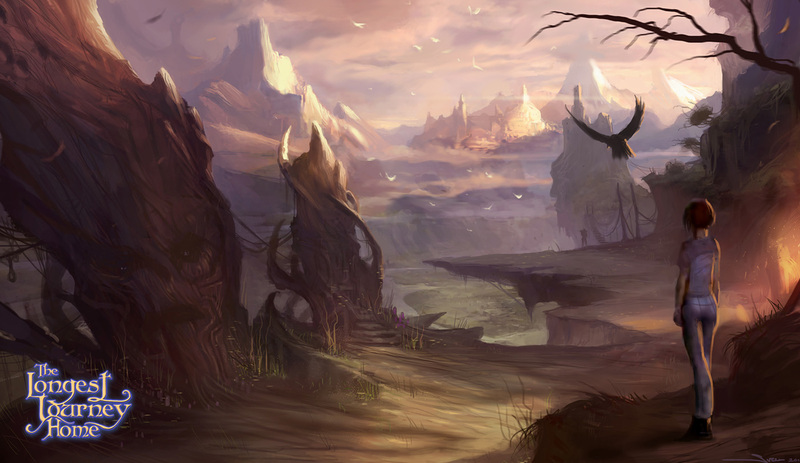 If you wish to support Dreamfall Chapters, click here to go to their Kickstarter page. Also, you can help out the game by voting for it on Steam Greenlight—check out their page right here. Based on Jewish folklore, The Golem deals with Rabbi Loew as he tries to defend Prague from the ambitious Cesare Borgia. In a dream, he receives “a vision of a giant man made of clay, wood, metal and stone — a Golem.” But in order to build the Golem, he’ll need to convince the guilds of Prague to assist him. But there’s more to it than just building a powerful Golem. The Golem longs for a soul, something that none of the guilds can provide. So, as the player, it is your job to find a soul for the Golem. So far, the game has raised over $80,000. However, that is merely a tenth of their $750,000 goal, which is unfortunate, given the pedigree of the founders of Moonbot Studios. However, there are still 16 days left to turn it around. Rewards start at $15 for the game and go all the way up to $10,000 for a visit to the studio in Shreveport, Louisiana. 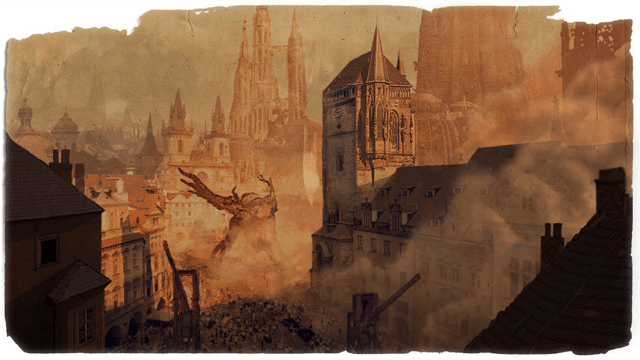 If you wish to support The Golem, check out the Kickstarter page here. You play as a member of The Ministry of Defending Stories. Your goal: defeat the evil corrupting great stories, legends, fairy tales, and adventures. In between, you can create on your own little “Blurb” in the world. If you wish, you can share this Blurb with anyone. So, why does RedBedlam need your money? Because they want to make this game cross-platform. This means that you’ll be able to play on one platform and be able to play with others on different platforms. The campaign is currently just above £2,700 of its £25,000 goal. However, it still has quite a ways to go, with its end date in the middle of April. So there is plenty of time to spread the word about this game. Rewards range from £3 (approximately $4.50 USD) for the iPad version to £599 ($905) for a custom avatar, a virtual oil painting, and a 3D statue. If you wish to support The Missing Ink, check out the Kickstarter page here. Imagine a world where a storm has raged above it for years. Nature is rapidly evolving to adapt to the new dark situation and the population has exiled you because this massive storm, is your fault. And this is where the game starts. For some reason, a storm is happening and you have to fix what caused it. 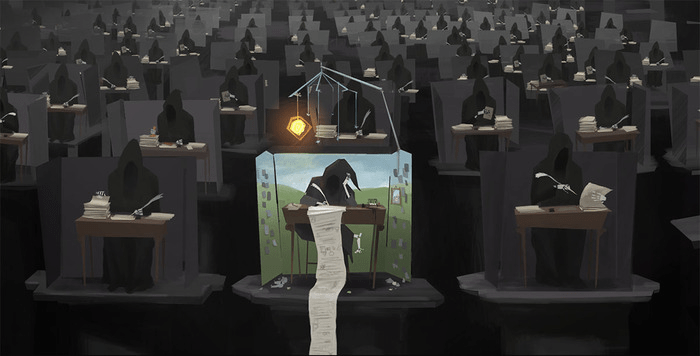 From what I can see, it looks like the developer was inspired by the indie platformer Limbo. (As a matter of fact, the developer actually notes that an unsuccessful search for something like Limbo on the Apple App Store was the reason why he started working on the game.) The developer promises that this will be a “deep twisted love story” that you can take on the go. Unfortunately, the campaign hasn’t gone well. He currently has only 5 days left and has only raised £20 out of £2,000 (about $3,000). We’re not sure why it has only raised £20, but we’re sure that this can be a good game. So, what does he need the money for? Well, he needs developer accounts to port the game to Windows 8 Metro, Android, and Mac OS. He also wants to be able to do some marketing for the game. Finally, he’d like to afford to pay artists to help make the final product the best it can be. He has the system and the ideas—and even a working version. He just needs help getting over the hump. The percentage doesn’t look good, but this is a goal that can easily be attained in a short amount of time. If you’re someone who believes in this project and wants to see it succeed, don’t just donate. Get your friends to donate, as well. And then get their friends to donate. Together, we can give this forgotten project the fighting chance I believe it deserves. If you wish to support Storm, visit the Kickstarter page here. 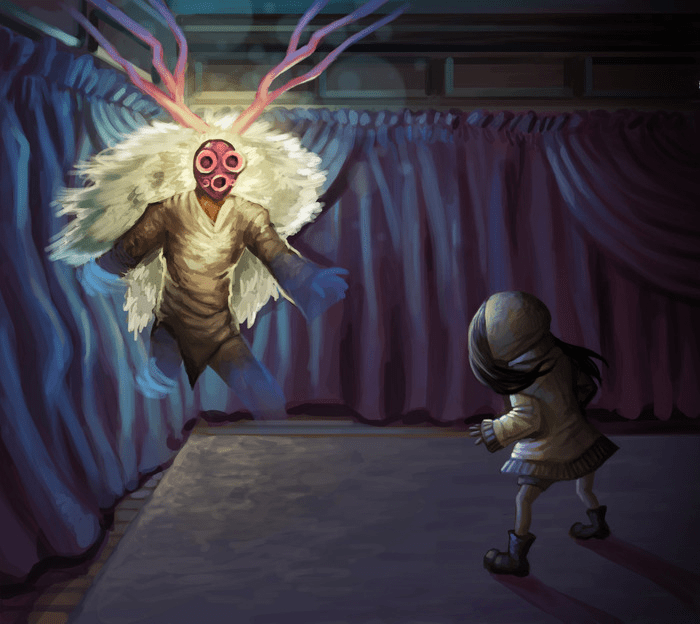 The final game we’ll look at this week is a horror puzzle game called Whispering Willows. The game is expected to support OUYA, Windows, Linux, and Mac OS, with ports hopefully coming later to Android and iOS. You will assume the role of a young girl named Elena as she searches for her missing father, against challenging odds, working through unconventional puzzles and bypassing other-worldly obstacles. She must harness the powers of her heritage, utilizing astral projection and other ethereal abilities to find her father before he, too becomes lost to the hopeless morass of the Willows estate. So far, Whispering Willows has raised $12,089 out of its $15,000 goal, with 6 days to go. If you’re unsure about donating towards the project, you can check out the demo by clicking here. The game is up on Steam Greenlight as well—check that out here. And if you need any more reason to donate, here’s a sample of the game’s soundtrack. Rewards start at $10 for the game and go all the way up to $1,000 to hang out with Night Light Interactive in Los Angeles. If you wish to support Whispering Willows, check out the Kickstarter page by clicking here. And that’s not all we’ve been looking at. Here are some other crowdfunding projects we’ve been following. The result wasn’t in doubt when we talked about the game last time. The final count is $119,426 from Kickstarter. Ninety-nine percent of all supporters have donated, ensuring that the Android port will be coming. In addition, over $2,000 has been donated through PayPal, moving them closer to an OUYA port. Stayed tuned for more details. And just like Asylum, the writing was on the wall with this one last week. The campaign came up short, with less than half of the £300,000 they were hoping for. However, it looks like they’ll be back with another try at getting Death Inc. funded. We’ll be sure to keep an eye out for it. We covered this game in the last few days of its campaign back in December 2012. Unfortunately, it fell short by about $6,500. 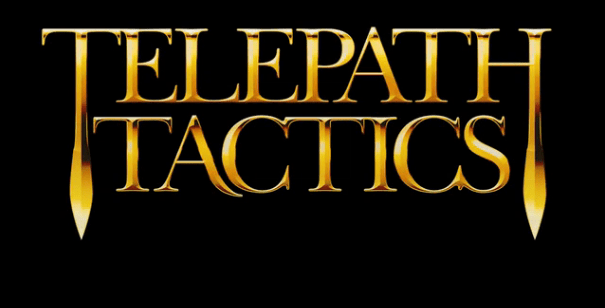 However, Sinister Design has vowed to return to give Telepath Tactics a second shot at funding. In late February, they wrote in an update that they would have another Kickstarter campaign starting in mid-March. So, it hasn’t started yet. But, since it is the first full week of March, we should be expecting the re-launch of the campaign any day now. We’ll let you know when. And that is it for this week. Stay tuned for upcoming Spotlights as we look at inXile entertainment’s Torment: Tides of Numenera and a new game from Richard “Lord British” Garriott, Shroud of the Avatar: Forsaken Virtues.